Are you sure that's not a Halloween decoration? 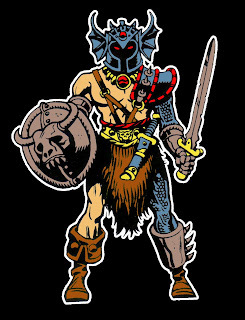 When I was talking Shogun Warriors I mentioned discount stores and Arco toys. 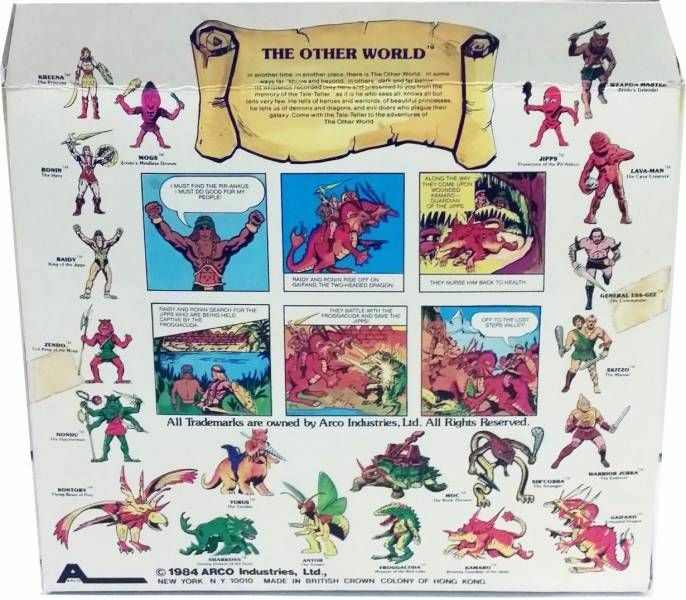 Arco Toys was a toy company (in case the name wasn't obvious enough) based in Hong Kong that made a lot of (guess what) toys that were generally in discount stores and other non-traditional places like drug and grocery stores. 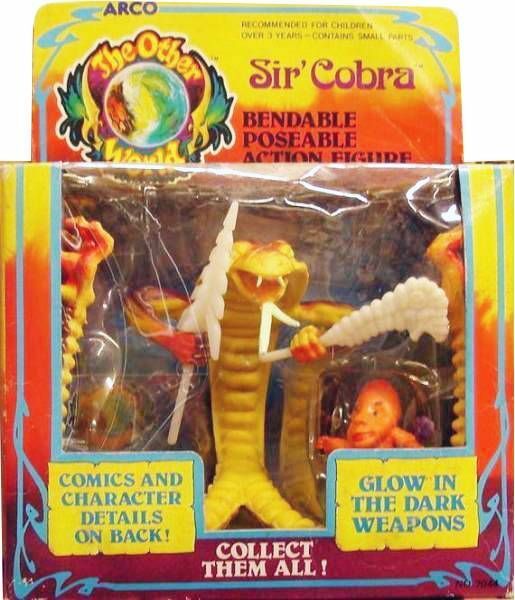 Hasbro didn't make Authentics back then, so maybe you'd find some close out older name brand toy... but more often it'd be one of these off brand lines. But that's not a dig, there's gold in those weird brands. The Other World was such gold, a weird fantasy line when fantasy was all the rage thanks to He-Man and Star Wars. With packaging that looked like a heavy metal album and toys that looked like Halloween decorations mixed with just enough neat factor... The Other World was pretty great. If you noticed from the picture of Castle Zendo, the figures are all standing with their arms outstretched. That's because they literally had no articulation as you traditionally know it. They were rubber bendy figures, the kid with a wire skeleton. Which of course resulted in eventual wire snaps creating arms in permanent 'gimme a hug' poses. A small inconvenience then the lizard man figure came with hell yeah awesome glow in the dark accessories. My love of glow in the dark stuff knows no bounds and in fact could be other worldly no damn pun intended. I lied, I totally intended it. Figures came in a variety of ways. Solo figures with two of those little rubber weirdos. Extra weapon packs with rubber weirdos. Double figure packs with maybe one rubber weirdo. Monsters with a rubber weirdo. 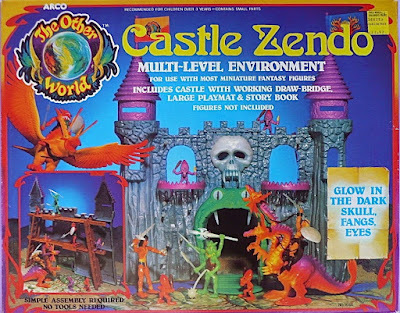 Big gift sets full of figures and monsters with rubber weirdos. 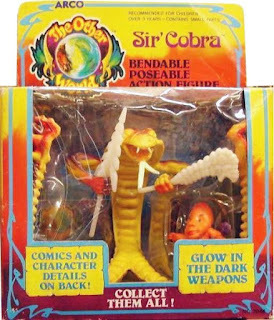 No matter how you bought it, you were getting those little rubber weirdos and damn well like it. The orange weirdos are Jipps, basically little good guys to give your heroes support. The purple weirdos are Mogs, little jerks that work for the bad guys. 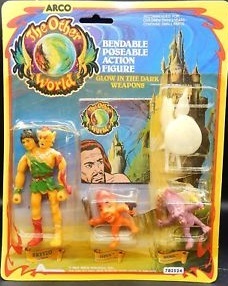 The Other World was a weird and wonderful toy line that didn't cost much. That's a recipe for sucess that doesn't come around as often as it should. The next time you're at that odd discount store picking up some random thing you need check out the toys. Sometimes there's a little rubber Halloween decoration trying to pass itself off as an action figure. How can you possibly ignore that? 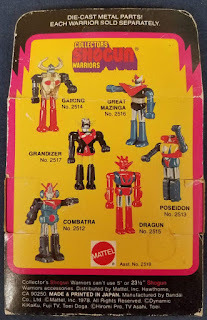 Earlier when talking about the Shogun Warriors kaiju, I mentioned the smaller die cast figures. Those are the Shogun Warriors toys I had as a kid. 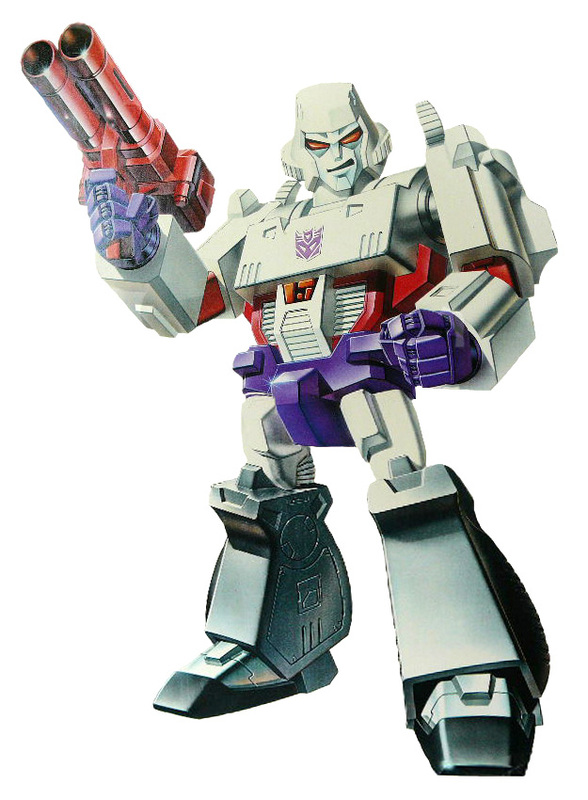 Sure the moment for the line had past, but being from those working class roots meant I often got toys from a discount store. These days discount stores usually have a specific version of mainline toys made particularly for that market with a little peppering of off brand goods. Then, however, you had a ton of off brand goods and a smattering of close out buys. 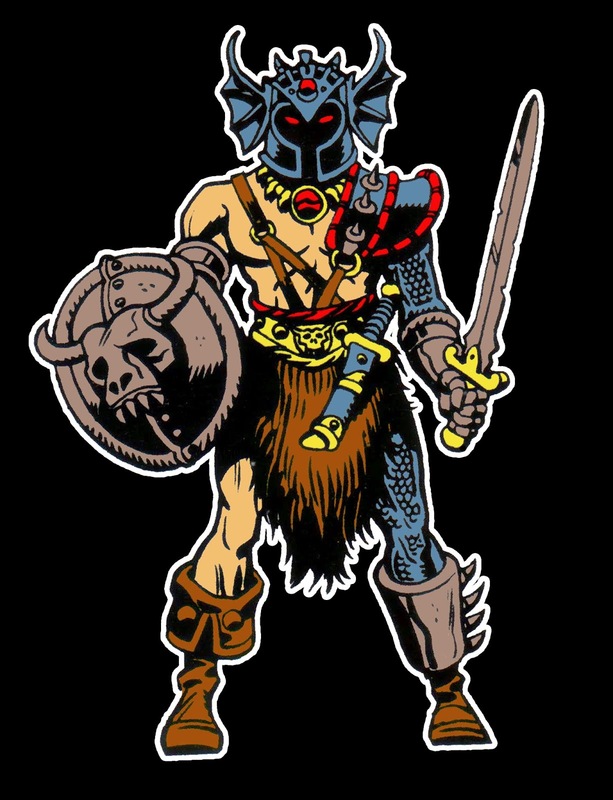 So here I was in that preschool (I initially misspelled that and the spelling suggestion was pee school) age at some random shopping trip in between holidays and birthdays either going home with something made by Arco or one fateful day... Shogun Warriors. 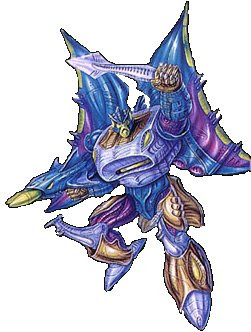 I had no clue who Dragun or Poseidon was, but dude they were neat! 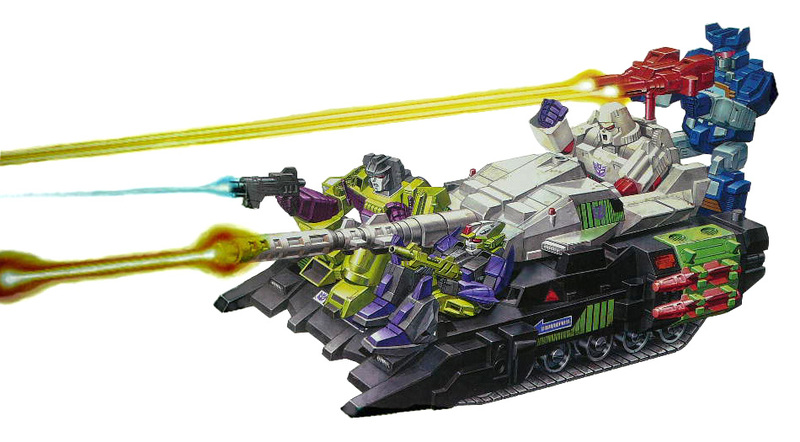 They soon joined the forces of Darth Vader who now had whoopass robots to fight Luke Skywalker and The Hulk in battle. Super 7 has a cool line of Shogun Warriors in their ReAction series. I should get some of those. 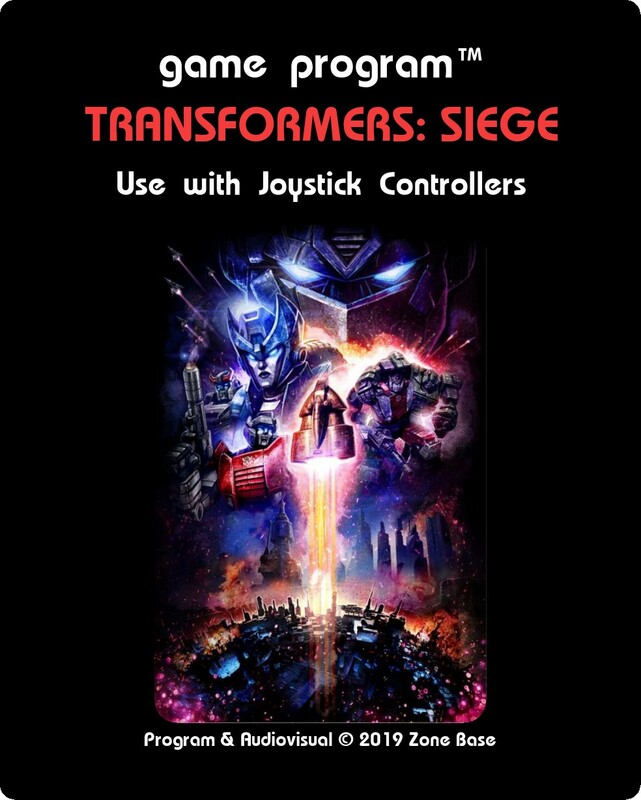 Hasbro Taiwan produced this neat stop motion Siege video in the style of a fighting game. 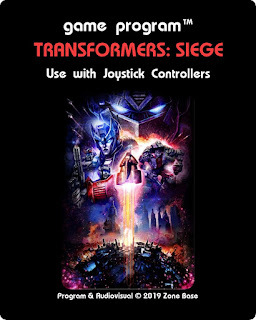 I've been describing Siege box art as great Sega Genesis packaging... because it looks like Sega Genesis box art. I could see it programmed by Probe and presented by Acclaim. it works for other consoles as well. Basically, you could win a T-Shirt and everyone will want your new t-shirt. Simply put, Micro Morphers are driving me crazy. Because not only are they type of thing I go crazy over, but also because I haven't found any yet. It's hard not to want these things. Blind bag toys, check. Blind bag toys of something I like, check. Neat looking blind bag toys of something I like, check. It's not helping that Target hasn't restocked the blind bag Jurassic World Dino Rivals in a minute, but man when they do... oh man. Freaking check. I'm anticipating getting multiple extras as it's obvious that the molds are getting heavily reused. Hoping for available codes, preparing for a million extras. You get two figures per pack, which is pretty good. In the Zords packs you get 2 figures and a Megazord. I'm mainly worried about getting too many extra Megazords as they look like they'll take up more space. A bunch of the regular figures, no problem, I plan on just putting them in one of those plastic Sterilite shoe boxes anyway. One of those boxes are $1 and stack. No problem. But those Megazords might require they're own box. 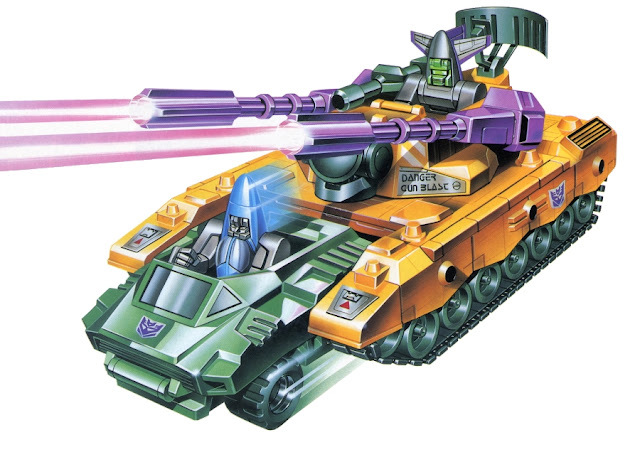 I have hopes and plans of some weekend hitting Target/Walmart to buy a ton of Micro Morphers and Dino Rival blind bags. Then maybe get pizza on the way home and have a helluva good time opening them. That would be a busy time on my Instagram. I know how to party. 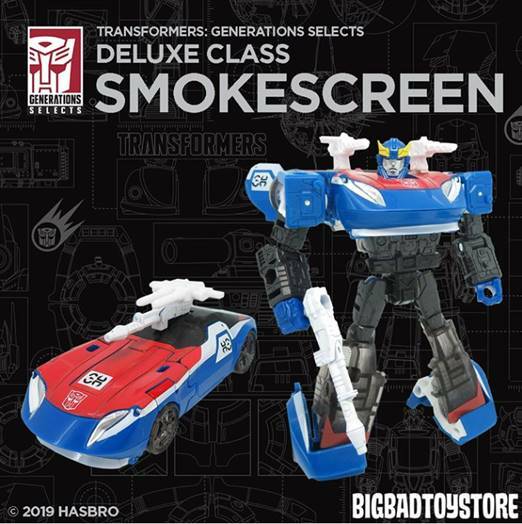 The new Generations Selects Smokecreen is up for pre-order at most online retailers now, so go out and get one! I don't have any affiliate links, so don't worry which one benefits Zone Base, just hope readers enjoy the site! That's pretty sharp looking, hope I can get one myself.